Thursday morning at 7:17 Paris Officers responded to ‘shots fired’ in the 900-block of E Center. Reportedly two people were arguing, and a female left the scene to retrieve a gun from a family member. 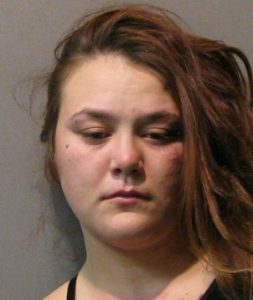 After returning, she fired two shots into the air and fled the scene. The woman was identified when she returned, and she told officers that she threw the gun out the window somewhere on 271 North. Constance Renee Berry, 23, of Powderly, Texas was arrested and charged with aggravated assault with a deadly weapon and unlawful possession of a firearm by a felon. 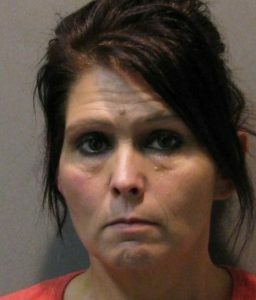 She is in Lamar County Jail. A burglary of a business was reported in the 2800-block of NE Loop 286. Someone had cut the chainlink fence and had stolen a 2018 Yamaha motorcycle. The motorcycle is valued at $8,500. Paris Police arrested Kellie Marie Smith, 44, at her residence in the 900-block of E Houston. Officers knew that Smith had an outstanding felony warrant and upon making contact found that she possessed a small amount of methamphetamine. A burglary of a residence in the 2200-block of E Cherry occurred when someone entered the house sometime between November 26 and November 28 and stole a small safe containing money. Paris Police arrested James Glenn Cline, 33, at his residence in the 2200-block of Bonham on a warrant. 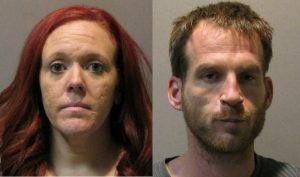 During the arrest, Cline was in possession of methamphetamine. Also located at the house was Lynzi Marie Srader, 33. Srader was known to have an outstanding parole violation warrant and was in possession of methamphetamine. Paris Police met with a complainant in the 2000-block of S Collegiate Dr about criminal mischief. Reportedly, someone damaged the victim’s vehicle by throwing rocks at it while it was parked near the trail. The estimated damage was $4,000. Paris Police responded to 103 calls for service and arrested six people Thursday (Dec 6).